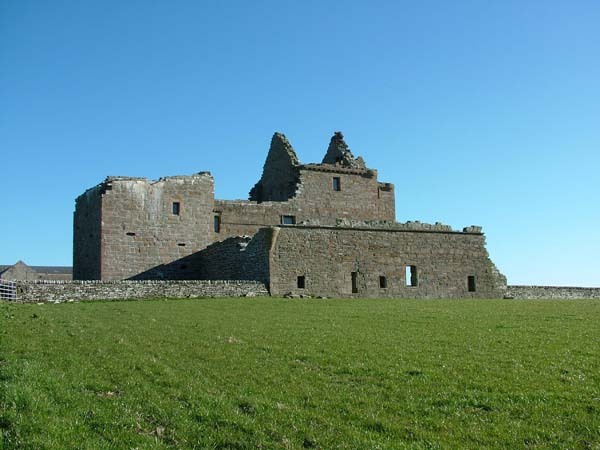 Noltland Castle: The home built by Gilbert Balfour in the early 1560’s, which has a very interesting history. 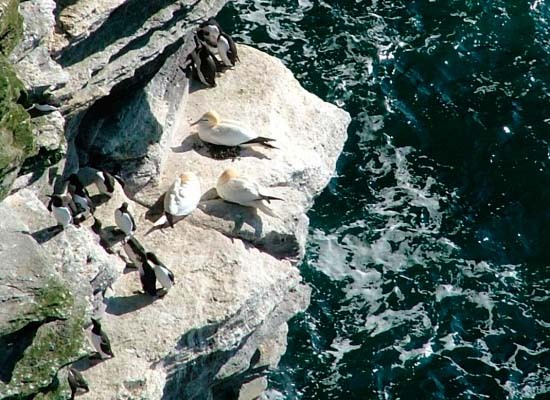 Noup Head RSPB: Second only to St. Kilda, Noup Head is an accessible and safe (with Guide) viewpoint for tens of thousands of nesting seabirds, during the Summer months. 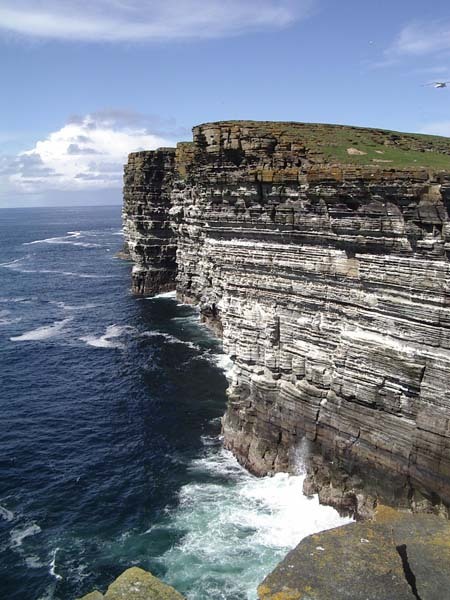 Aikerness Craigs: Here there are some wonderful photo opportunities, where you can, safely, view some spectacular cliff scenery. The rare Scottish Primrose also appears here in May and July. One of only 7 sites in the World. 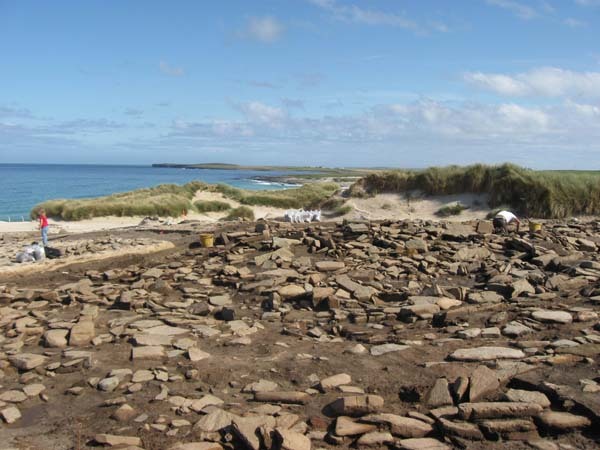 Noltland Links Neolithic Site:Visit this fascinating site and see the-archaeologists at work. Possibly even speak with the Team Director and get right up-to-the-minute interpretations. 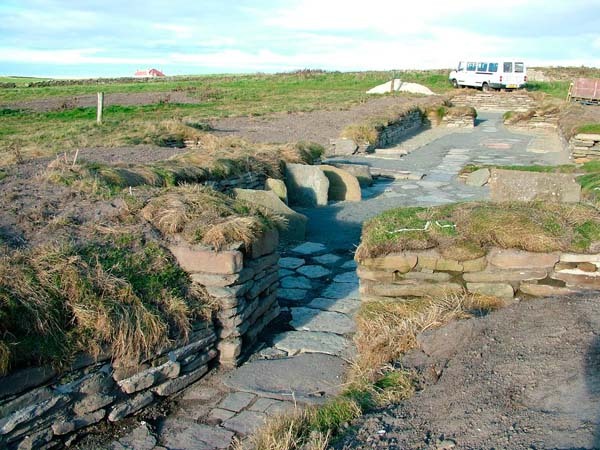 This is a 5000 year old site which is being threatened by coastal erosion. Rackwick Kelp Pits: This was the area of greatest harvesting of kelp from the early 1700’s. You will see old Kelp pits and more recent tangle steethes. 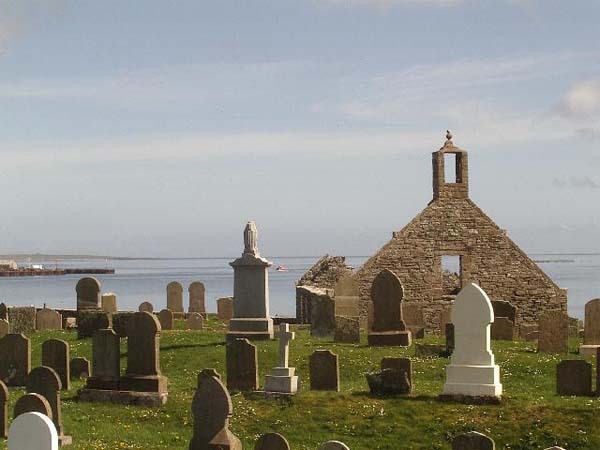 Quoygrew: Whilst in Rackwick, visit the 10th Century Viking settlement at Quoygrew. This site is now being consolidated and protected by a sea-dyke. 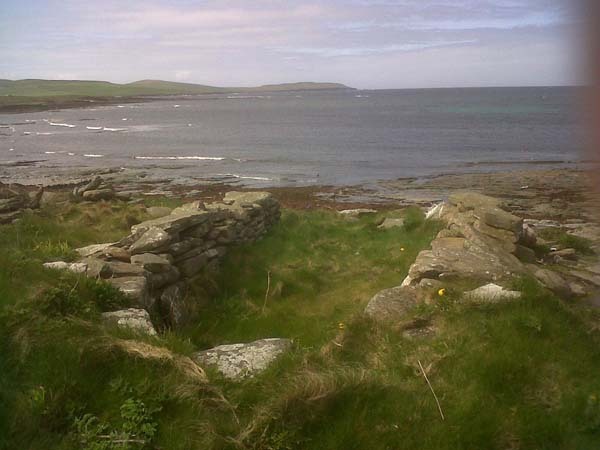 This site is said, by Dr. James Barrett, to be the most significant early Viking site in Orkney. Lady Kirk: The Lady Kirk, or St. Mary’s Kirk, Pierowall is not only very picturesque, but holds some very interesting facts. 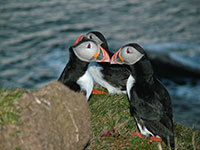 Evening Puffin Tours: We provide evening Puffin Tours, when the Puffins are here to breed between mid-April and end of July. 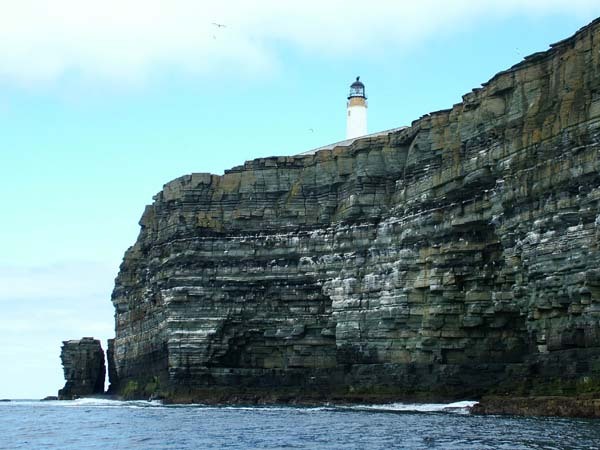 These Tours are in the evening, just before sunset and are geared to viewing the Puffins at Orkney’s best Puffin-viewing site, here, on Westray, as they come in to roost. The experience is quite breath-taking with the opportunity to view at very close range, often 2 or 3 metres. Of course, during our ‘Mallymack’ Day Tour, we take in the RSPB Reserve at Noup, where Puffins also nest and usually we can spot Puffins there. However, evening is always best. 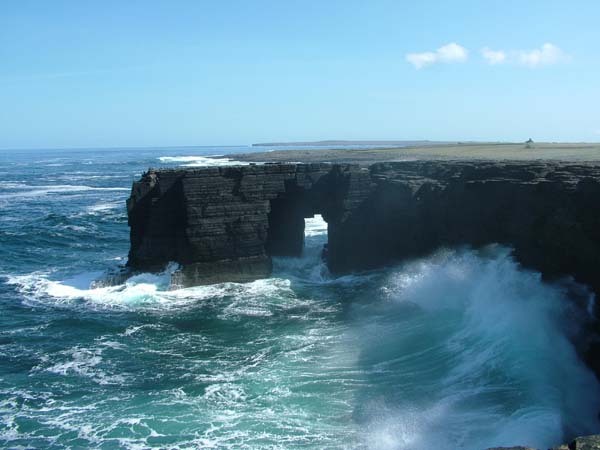 General Itinerary: Tours of Westray can vary in content and timing and can be tailored to your wishes. At all of the places, above, there will be plenty of information given by Andy & Karen and, of course, in between each site, there are many other places of interest which you will learn about. At Westraak, we have binoculars, should you have left yours behind and we carry a limited amount of weatherproof over-clothing. We do advise, though, that you bring with you, suitable outdoor clothing and stout walking boots or shoes. Don’t worry, we won’t be taking you anywhere hazardous and our walks are short and relatively easy for all ages. Your lunch, which will be prepared and served at our Home, will be typical, good, wholesome Westray fare. 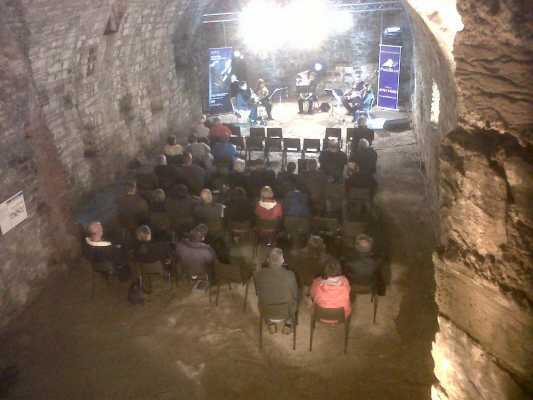 Prices: Our fully inclusive day, the “Mallymack Tour”, costs £70 per person, with discounts for Seniors and Children. Our aim is to be as accommodating as possible, so please just ask.